Who are Complete Care & Mobility? Complete Care & Mobility are owned by CCS holdings which trades mainly as a domiciliary care provide. Right click here and click Open in new tab for information about C.C.S Central LTD.
C.C.S Central LTD is the Parent Company of Complete Care & Mobility. Both the Management and Staff that work at Complete Care & Mobility have genuine hands on care experience in providing care to dementia and neurological suffers as well as end of life care and sensory support. This experience that our staff holds put us high with in the market ranks making us an expert in our field of business. March 2014 Complete Care & Mobility won Independent Retailer of the Year 2014 which was hosted by the Black Country Chamber of Commerce. This award is a prestige award and proves how dedicated we are to providing an excellent customer service as well as providing the customer with information so that they can make an informed decision. As well as our on line store we also have two Mobility Showrooms with in the Walsall Borough of West Midlands. Like our Showrooms, our on line store sells all aspects of independent living aids, continence aids, mobility scooters and wheelchairs as well as rise & recline chairs and bathing aids. We are also continence care specialists. 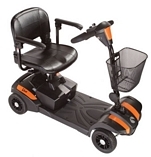 With in our Showrooms we also carry out mobility scooter and manual/electric wheelchair servicing and repairs. The Management and Staff attend regular annual refresher training as well as update themselves with product developments and product information. At Complete Care & Mobility we believe in putting the customer and the customers’ values and needs first over sales. Whilst we are a business and need to make a profit, we believe that we break the mold when it comes to providing a service. Here the Management and its Staff have and endorse a simple ethos, which is “to provide an excellent service, excellent customer experience and most important ensure that all our prices are competitively and clearly marked. We have a vast rage of products to suit all budgets. We know our market and also know what our customers’ needs are. Our product range is vast and has been priced to suit all budgets.